And if those objectives sound pretty obvious to you, I’m not surprised. 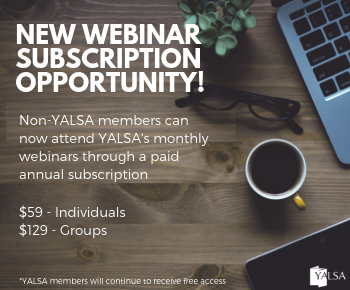 I know that YALSA members, by the nature of your work and your audience, tend to be on trend, innovative, and outward-looking. 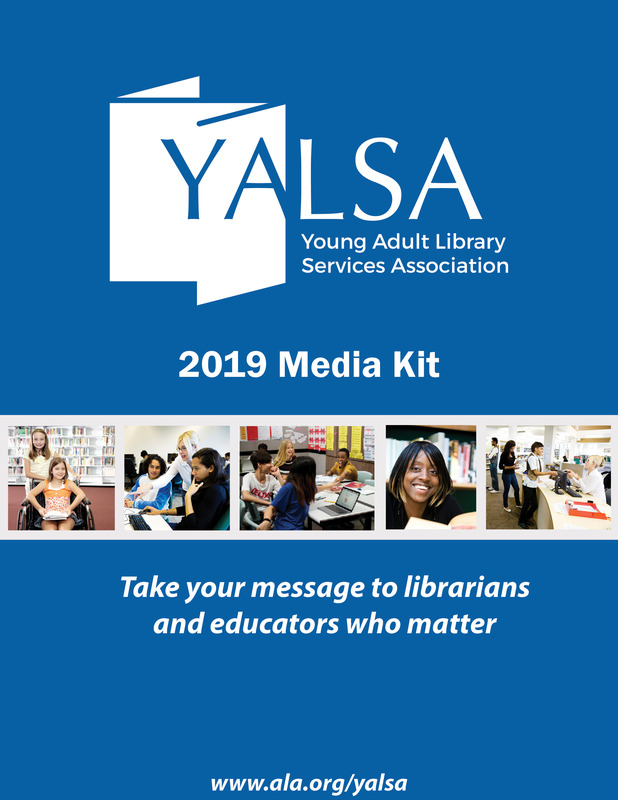 In fact, over the past year YALSA members have been incredibly helpful in suggesting trends for me to explore, including Collective Impact, Connected Learning, and Emerging Adulthood. 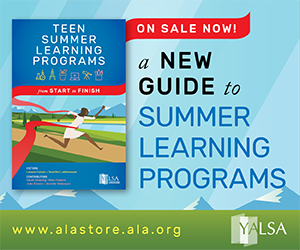 Today, as part of “30 Days of Teen Programming,” I want to try to connect teen programming to an important and emerging view of the library as platform. 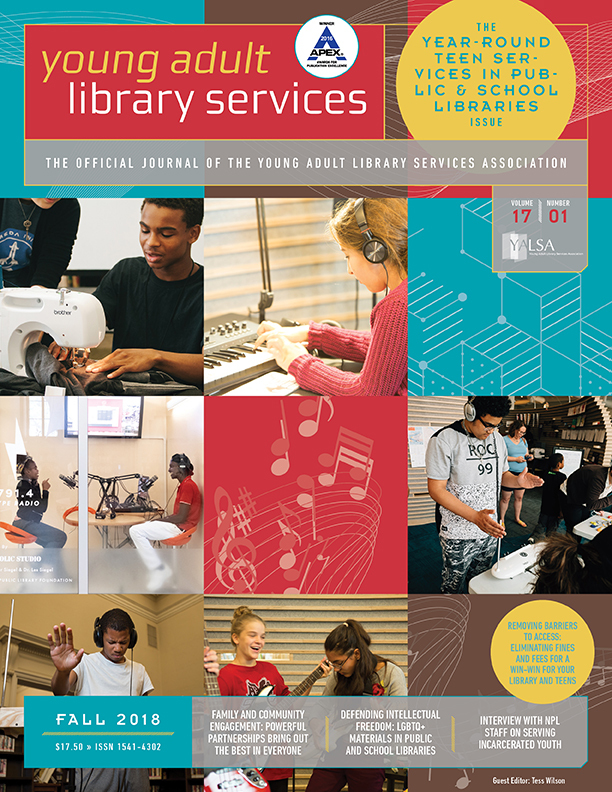 David Weinberg’s excellent article, “The Library as Platform,” proposed the potential for the library to serve as a platform by leveraging its data and information resources for members of the community to build from. And John Palfrey, in his forthcoming book BiblioTech: Why Libraries Matter More Than Ever in the Age of Google, encourages libraries to become platforms for hacking – engaging large communities of people with diverse skills and perspectives to remake libraries and their communities using the resources, information, and data libraries make available. Given these descriptions, it may be very easy for us to think about the library as platform as belonging to the realm of the digital, the networked, or the technology-driven. 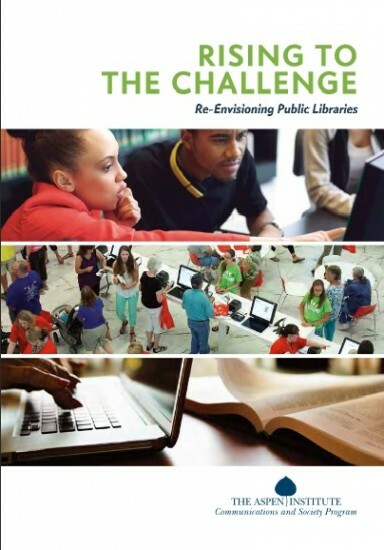 But the library as platform is also helpfully described in the Aspen Institute’s “Rising to the Challenge: Re-envisioning Public Libraries” as one of three key assets libraries possess – People, Place, and Platform. The library’s People (librarians and library staff) connect users with resources and serve as conveners for learning and creation opportunities. The library’s physical and virtual Place accommodates a wide range of purposes including reading, communicating, learning, playing, meeting, and doing business. And the library’s Platform facilitates individuals’ and groups’ discovery, creation, curation, and sharing of knowledge and innovation alone and together. 2 Platform is the participatory environment that opens the library’s technology and resources to experts from the community with an emphasis on addressing the community’s varying and expanding set of needs. The Platform emphasizes the opportunity for users to serve and be served not only by librarians and library staff, but also by other users, a rotating cast of novices, experts, teachers, learners, and peers. 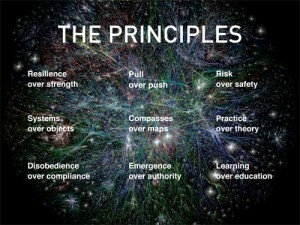 It is the Aspen Institute’s view of the library as Platform that leads me to think about programming. Programming is one of the best opportunities we have to make the library a participatory environment. Programming is responsive, hands-on, collaborative, and open. But the process of programming can also be onerous, requiring that we develop, plan, practice, promote, and execute a successful program for an assembled audience. As others have pointed out, to develop relevant programming, it’s important to look outside the library to find out what other people know and pull those ideas into our programming. I wonder, as we are thinking about the library as platform, if relevant programming won’t soon require that we pull not just the idea but also the content, the planning, and the presentation from outside the library. 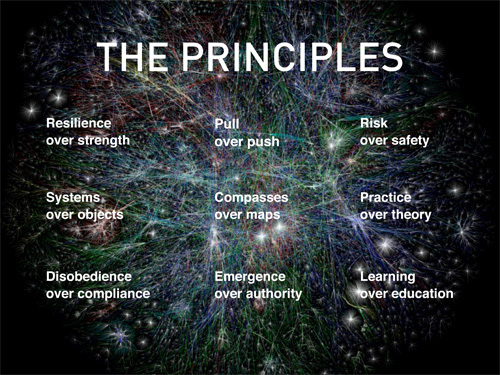 In a world that is increasingly networked, informed, and distributed, we can’t afford to centrally stock and control programming. 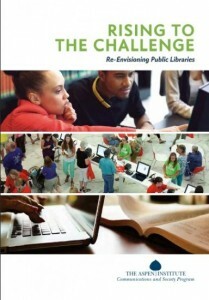 In the terms of the Aspen Institute’s report, this would only utilize the People and Place assets of the library. The future, instead, might have us shift our roles toward the facilitation or “pulling” of relevant content from the community and redeploying it for the community. The expert programming librarian would then be the individual who is best able to spot knowledge, creativity, or innovation from among our users and give it a space in our library’s programming. There might be infinite opportunities available to us when we find ways to leverage all three assets – People, Place, and Platform – in their appropriate roles in our library programs. I know that libraries are already doing this, finding ways to be a participatory platform. I also know that it is not easy. It’s a set of skills that aren’t easy to master. How are you using programming to reposition the library as platform? What are the benefits you have experienced? What are the challenges you have faced? How can we learn together? I hope you will share your thoughts in the comments section below or via e-mail (mfigueroa@ala.org). 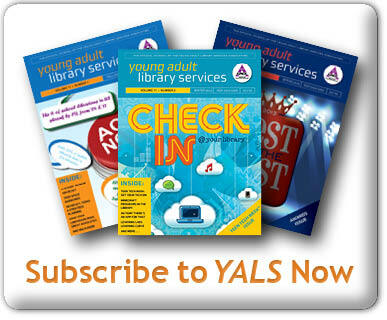 I’m excited to continue learning from my YALSA colleagues who are on trend, innovative, and outward-looking. Miguel Figueroa works in the Center for the Future of Libraries at the American Library Association. You can reach him at mfigueroa@ala.org. 30 Days of Teen Programming!